New Delhi, March 23 (IANS) The saga of the 2019 Super Cup just doesn't seem to end. 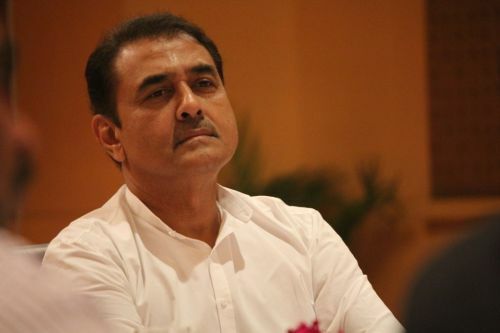 While seven I-League clubs initially refused to play the tournament citing the step-motherly treatment from the All India Football Federation (AIFF), things took a positive turn when AIFF general secretary Kushal Das informed the clubs that president Praful Patel will meet them and discuss their problems. But now, things have once again turned bitter as the AIFF refused to agree to the clubs' demand that the qualifiers be replayed. The association feels that it will be unfair to the teams which were ready to play the qualifiers when the I-League clubs were agitating against the AIFF. The whole matter took a new turn on Friday evening after Real Kashmir made their intentions clear and informed the AIFF that they are ready to take part in the Super Cup without any rider. In fact co-founder Shamim Meraj informed that the club had already told the AIFF that they are willing to play the tournament. "We had already conveyed our willingness to participate in the Super Cup to AIFF. We are not moving in or moving out (of any group) as we just want to play in Super Cup. Our sponsors wants us to play, so do we," he told IANS. It is important to note here that Real Kashmir had not signed any letter forwarded by the unified clubs, whether it be on February 18 or on March 20. Their name did not feature even in the letter sent to AIFF on March 12, whereby the seven I-League clubs withdrew from the Super Cup. The AIFF has now asked 5 clubs - Mohun Bagan, Quess East Bengal, Chennai City FC, Churchill Brothers and NEROCA FC - to let the federation know by 5 p.m. on Saturday about the status of their participation. The Super Cup as per its original schedule is supposed to start from March 29 wherein Chennaiyin FC will face Mumbai City. East Bengal, one of the unified clubs, is expected to play their first match on March 30 as they take on qualifiers Delhi Dynamos. It will be interesting to see who has the last laugh.